To soak up the sounds that inspired legends such as Elvis Presley, Johnny Cash, Willie Nelson and Dolly Parton, nothing comes close to exploring Nashville. We visit the Country Music Capital of the World to find out exactly what makes this big-hearted Tennessee city tick. 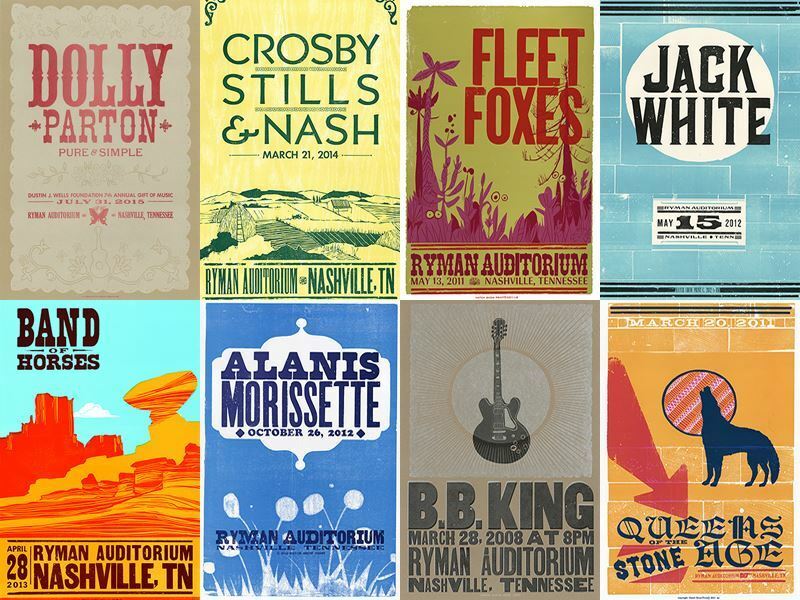 What: The history of country music from its birthplace in Music City to the present-day is in the spotlight at this 130,000-square-foot attraction on the west bank of the Cumberland River, just steps from the Ryman Auditorium and the honky-tonks of Lower Broadway. 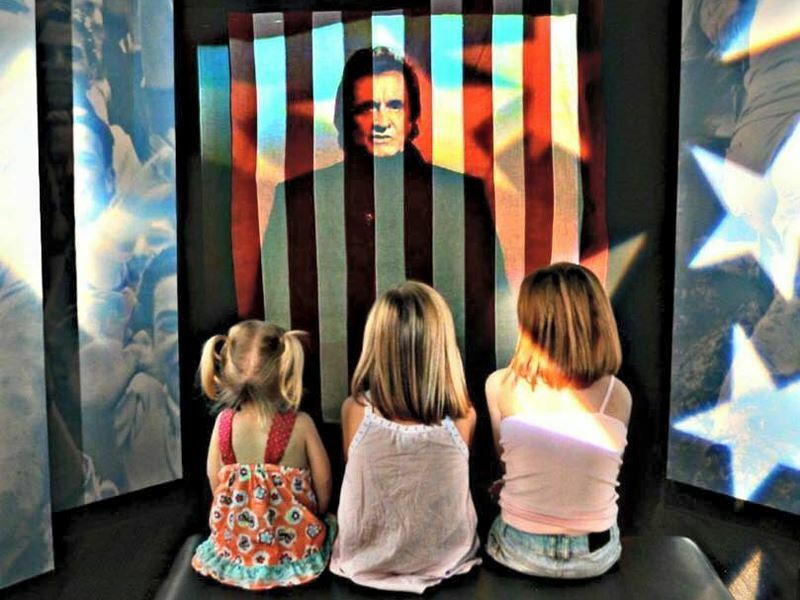 Established in 1967 and relocated to its current $37-million building in 2001, it thrills fans with state-of-the-art exhibits, interactive displays, and the chance to hear audio snippets from classic and contemporary country stars. There’s also 2.5 million artefacts - most mind-blowing of which are the 3,000 blinged-up stage costumes and the two-story wall that’s plastered with every gold and platinum country record ever produced. Don’t dare to leave without seeing Johnny Cash’s guitar, Elvis’s solid-gold 1960's Cadillac limo, Carl Perkins' blue suede shoes, Bill Monroe’s walking stick, and Dolly Parton's scribbled Jolene lyrics. 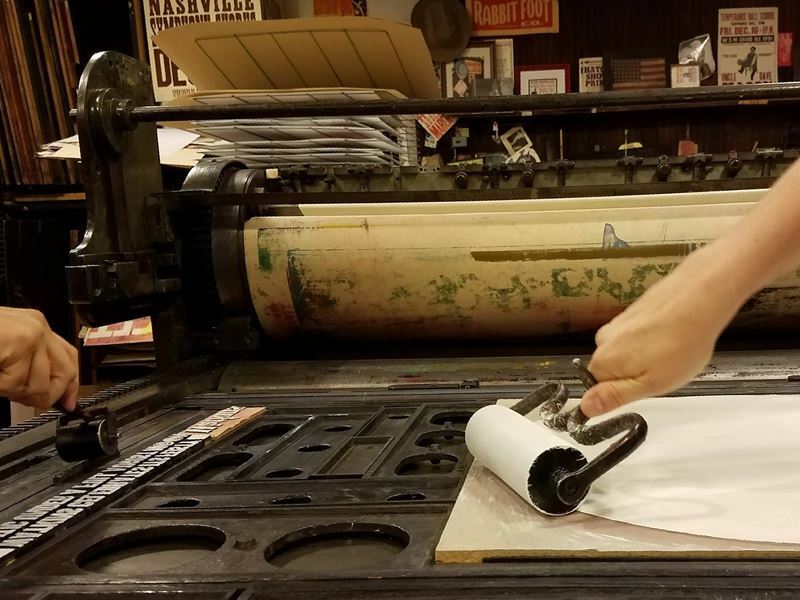 Highlight: Shop for souvenirs at the museum-run Hatch Show Print (224 5th Avenue South) - one of America's oldest letterpress poster print shops that has designed iconic concert posters for the likes of Elvis Presley, Johnny Cash, Patsy Cline, and many more. Not only can you buy postcards and posters, but you can actually watch the printing process. In-depth tours of the workshops are available on selected dates. What: Nashville is home to a huge amount of vintage shops, one-off boutiques, and, of course, record stores for vinyl junkies. Start with Jack White’s Third Man Record (623 7th Avenue South) for branded turntables, White Stripes gear and for limited-edition album releases by White’s artists, and make your way to McKay’s Nashville (636 Old Hickory Boulevard) to seek out new and used CDs, vinyl, and cassette tapes. The best of the rest includes Marathon Village (1305 Clinton Street) for Americana paraphernalia, Fanny’s House of Music (1101 Holly Street) for new and vintage guitars, amps, drums and accessories, and The Great Escape (5400 Charlotte Avenue) for rare records, vintage posters, and vinyls with autographed sleeves. Try to factor in a visit to White's Mercantile (2908 12th Avenue South) - a modern-day general store owned by singer-songwriter owner Holly Williams - daughter of Hank Williams Jr. 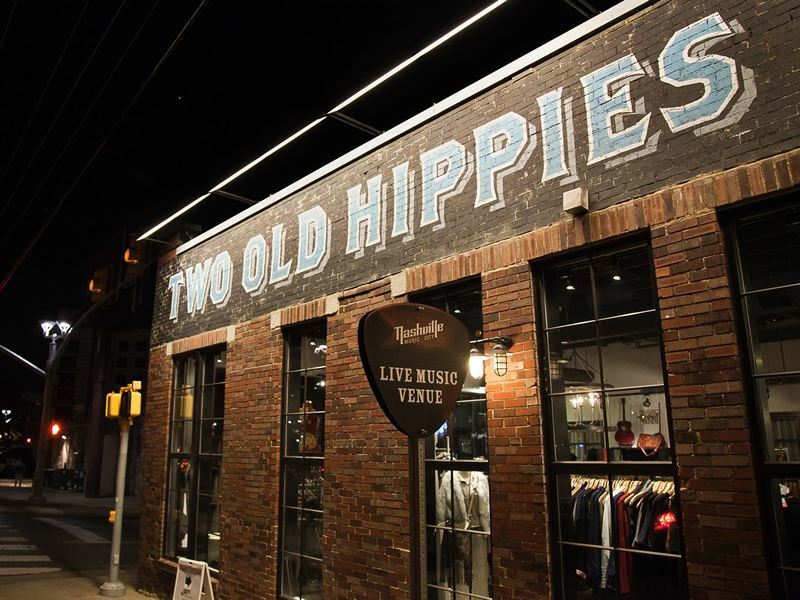 Highlight: Opened in 2011 at 401 12th Avenue South in Nashville’s trendy The Gulch neighbourhood, Two Old Hippies is a 8,000-square-foot lifestyle store where the walls are lined with an incredible collection of rock n’ roll memorabilia (all of which is for sale). Splurge on unique apparel, shoes, novelties and gifts, or head to The Vault - a special room with Bedell and Breedlove guitars that provides sanctuary for musician who want to jam in a quiet space. What: For strong drinks and even stronger music, there’s no shortage of lively watering holes in this rapidly-growing cultural metropolis. Head to Honky Tonk Highway on Lower Broadway for Tootsie’s Orchid Lounge and Robert’s Western World - or venture a little further out of town to the Bluebird Cafe´ (featured in practically every episode of ABC's hit drama Nashville) for well-priced pitchers of beer and twice-nightly shows (Garth Brooks, and LeAnn Rimes, and Faith Hill have performed here). Other not-to-be-missed gems for perfectly-poured cocktails and some cracking jukebox or DJ-led tunes include the speakeasy-themed Patterson House, the resolutely-hip Bar No 308, and the supercool Old Glory. Alternatively, spend the evening at the seedy Fran’s East Side on Greenwood Avenue - it has been around for decades but still pulls in the crowds with two seasoned country singers who sing all the old classics. Highlights: Formerly home to the Boots Randolph Carousel Club, the New Orleans-themed Bourbon Street Blues and Boogie Bar in the historic Printers Alley is where you’ll find brilliant all-day blues music, Cajun and Creole eats, cold beer, and signature cocktails (most famously The Big Easy Hurricane and the NOLA Sweet Tea). Since opening in 1995, more than 100 blues musicians have graced the stage here, including legends such as B.B. King and James Brown. Where: Departing from Gaylord Opryland's Cumberland River dock at 2812 Opryland Drive. What: For Southern-style dining and top-tier music aboard one of America’s largest and most famous paddlewheel riverboats, the General Jackson Showboat (named after the first steamboat to operate on the Cumberland River in 1817) is a 300-foot showstopper with a capacity for 1,200 passengers and 157 crew members. 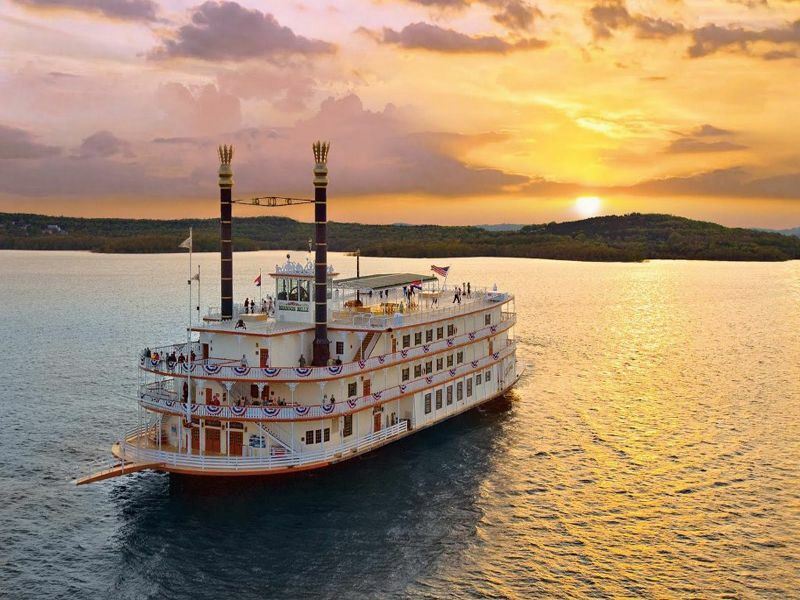 Built by inland shipbuilding giants Jeffboat and launched in 1985, it comes with four massive decks, a two-storey Victorian Theatre for live country music performances, and a wide selection of midday or evening cruises of varying lengths. There’s Sunday in the South for breakfast, lunch, and country anthems, Nashville Nights for dinner, a six-strong live band, and bucketloads of country classics, and Taste of Tennessee for a musical “menu” that includes bluegrass and roots (starter), contemporary and classic country (main), and Memphis R&B and blues (dessert). 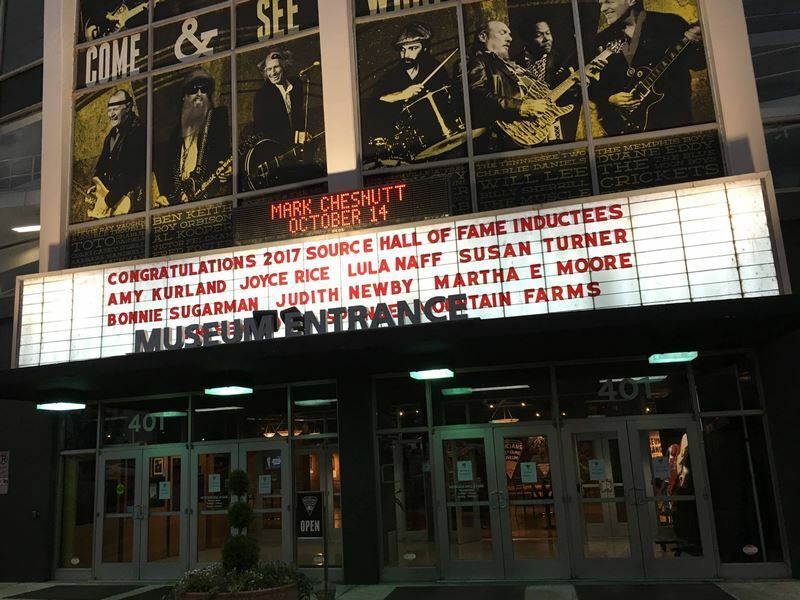 What: As the only museum in the world to honour musicians from all genres, the Musicians Hall of Fame and Museum (MHOF) pays tribute to the superstars and the lesser-known supporting cast who have played on thousands of iconic recordings. 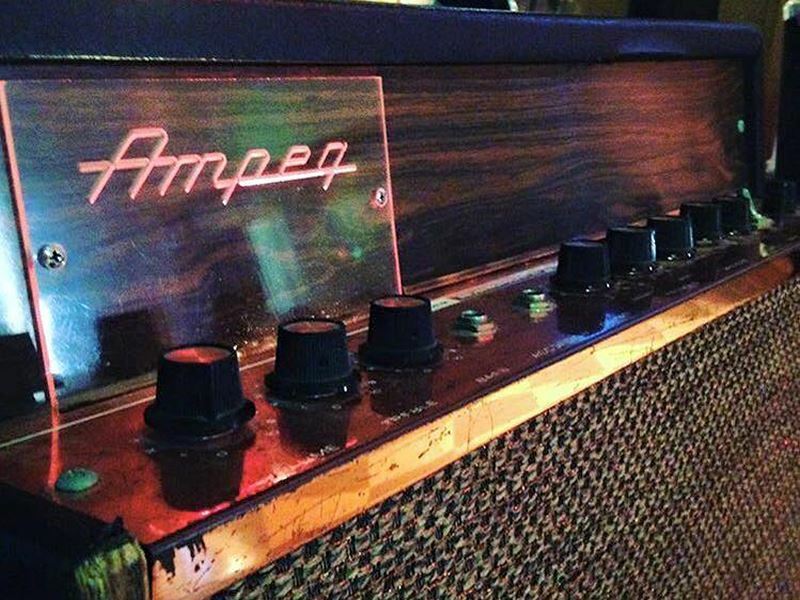 Founded by songwriter Joe Chamber in 2006, it packs a lot into its 68,000-square-foot space; from sections dedicated to the cities with a deep-rooted musical history (Detroit, Muscle Shoals, Los Angeles, New York, Memphis, and, of course, Nashville) to exhibits displaying instruments, artifacts, and memorabilia. Most make a beeline for the Wm. Knabe and Co. baby grand piano used by John Lennon and Elton John to compose Lucy in the Sky with Diamonds, the bass guitar used on Bruce Springsteen's Born in the USA, the drums used by session musician Hal Blaine to record with The Beach Boys and Frank Sinatra, and the guitar belonging to Jimi Hendrix. Highlights: The latest exhibit to find its home at MHOF is The Grammy Gallery - a 9,000-square-foot space that allows visitors to explore the roles of songwriting, record producing, studio engineering, mixing, singing, rapping and DJ’ing, as well as learning about how the iconic gramophone-shaped Grammy Award is made. Aspiring artists and music lovers can also don headphones, play a variety of instruments, and sing background vocals to award-winning hits. What: Every songwriter in Nashville does the songwriter rounds - a performers' showcase (often called writer’s nights) for competent players and singers wanting to connect with their audience and aspiring newbies eager to make a name for themselves. Known as a Songwriters-in-the-Round Show, the songwriters do just that. In most places, they set up on the floor (either alone or in groups or four) and face each other as they perform their material. Some of the best places to watch shows of this sort include Spotlight 615 for solo writers and full bands, New Faces Night at the Basement for eclectic acts, and 12th and Porter on 12th Avenue North for a mix of genres (Run DMC and Neil Young have both played here). Equally visit-worthy is the Douglas Corner Cafe, especially on a Tuesday between 1pm and 6pm when every performer plays two songs (this is where Garth Brooks, Blake Shelton, and Alan Jackson got their breaks). 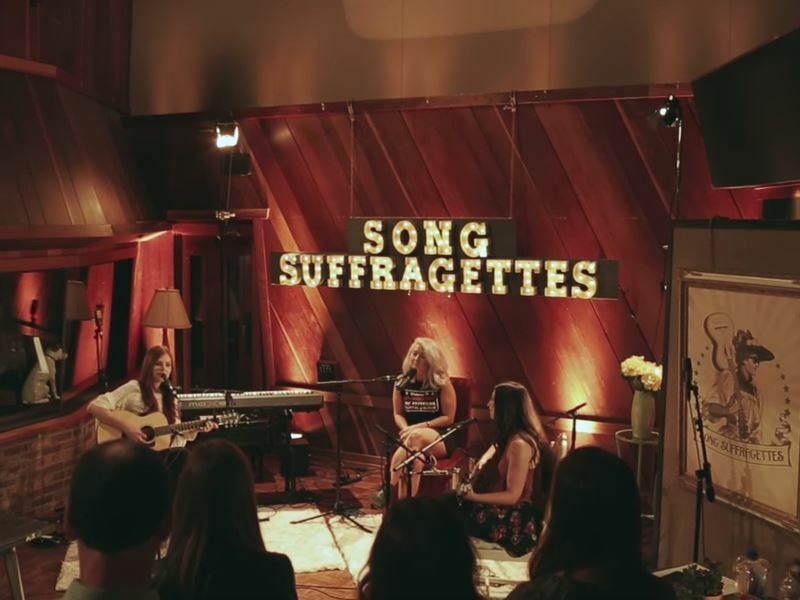 Highlights: For a quirky and extremely popular take on a Songwriters-in-the-Round Show, Song Suffragettes is a weekly showcase with performances by a rotating group of Nashville’s newest and brightest female country artists. 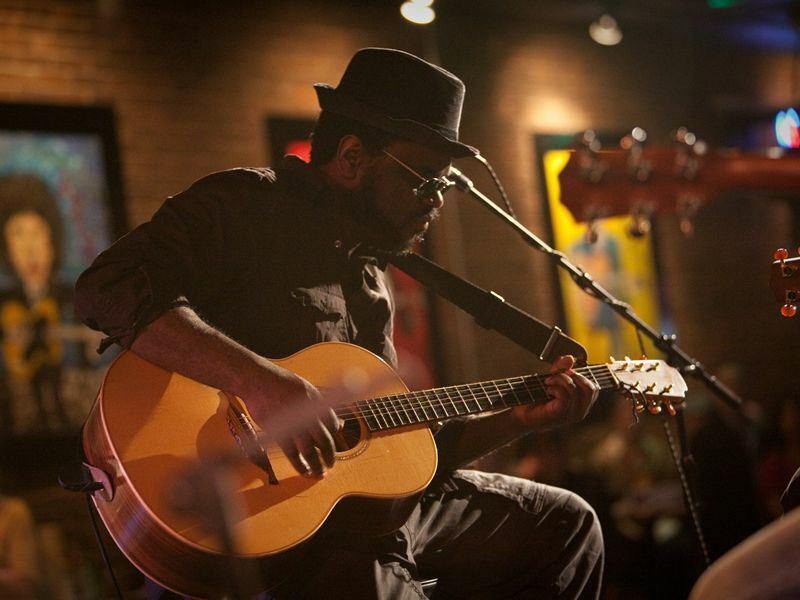 Held every Monday at The Listening Room Café on 2nd Avenue South, these free-to-enter shows start at 6pm and finish only when all five singer-songwriters have performed. Men are allowed in the audience, just not on stage. 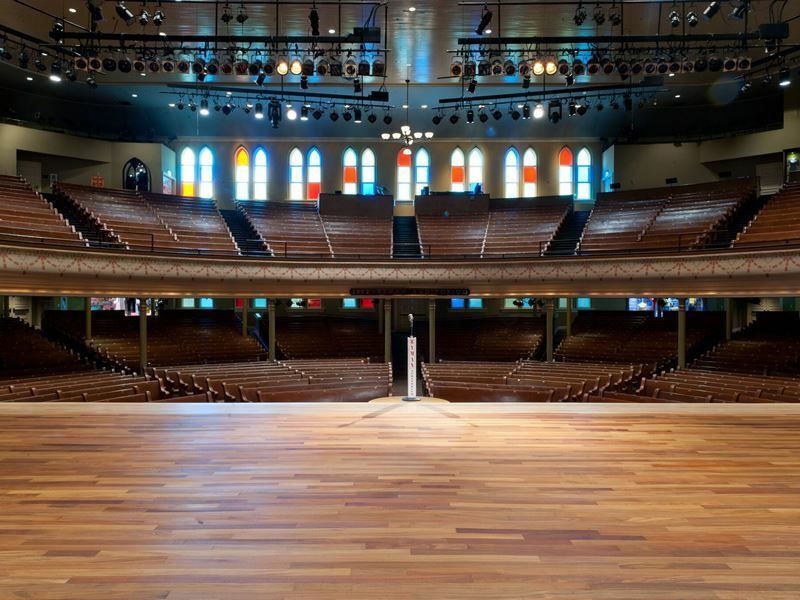 What: Built as a tabernacle in 1892 for soul-shaking sermons by evangelists and later used for the Grand Ole Opry radio show, the Ryman Auditorium’s "Mother Church of Country Music" moniker is spot-on. A designated National Register of Historic Places and National Historic Landmark, this 2,300-seater building comes with centuries-old pews, excellent acoustics, and a legendary stage that has hosted the likes of Charlie Chaplin, Sarah Bernhardt, Katharine Hepburn, Mae West, Aretha Franklin, James Brown, and more. Even if you don’t see a show here, the daytime tours are an excellent starting point to learn about the venue’s illustrious history. Book the Self-Guided Tour that begins with the new Soul of Nashville immersive theatre experience and includes all new exhibits with videos featuring hosts such as Charles Esten, Marty Stuart and Nicole Kidman - or take the Backstage Guide Tour that includes visiting the dressing rooms used by every Ryman’s superstar, past and present. Highlights: Warblers who reckon they can hit the high notes can book a 10-minute recording session in the Ryman Recording Studio. It costs just $30 (or $40 if you want to duet) and includes professional sound engineers and a CD labelled with your name and song (there’s loads of classics to choose from). Afterwards, be sure to visit the rather cool gift shop for all sorts of Nashville-related memorabilia such as guitar pics, T-shirts, posters, CDs, DVDs, and books. What: Unsurprisingly, this entire redbrick building pays homage to the Man in Black - the hugely influential artist christened J. R. Cash (he changed his name to John R. Cash when he enlisted in the United States Air Force and later took Johnny Cash as his stage name after signing with Sun Records in 1955). Established in 2013, this place does a brilliant (and very stylish) job of tracing the much-celebrated story of Cash’s life and career; from his humble beginnings as a child on his family’s cotton farm in Mississippi to his time as a chart-busting superstar (he had 14 No.1 hits). The impressive collection includes his signature stage outfits (including the San Quentin prison jumpsuit costume), personal letters, hand-written lyrics, ticket stubs, posters, a page from his yearbook, and even his Bible. Further highlights include a wall displaying the LP sleeves from 96 albums, a remarkable assortment of his instruments (including his guitars), and several small theatres that allow fans to watch clips of his various TV and movie appearances. Highlights: As you exit the museum, you’ll see Cash’s cover performance of the Nine Inch Nails song Hurt. Recorded in 2002, it was the entertainer’s last hit record - and one that’s often been described as having “one of the saddest music videos of all time” (it was filmed when Cash’s health was declining). There’s also a great gift shop selling merchandise that has been officially licensed by the Estate of John R Cash, so you know the collectibles are authentic. Highlight: The two-and-a-half hour Star for a Day attraction includes a guided tour Historic RCA Studio B as well as the chance to gather around the legendary microphone for a recording session with a professional sound engineer. It also includes an optional lunch and line-dancing at the western-themed Wildhorse Saloon where you’ll then get to hear your newly-recorded track blasted through the club’s state-of-the-art sound system. What: Launched on the night of 28 November 1925 when radio personality George Hay introduced one-hour The WSM Barn Dance on Nashville radio station WSM, the Grand Ole Opry is “the show that made country music famous”. 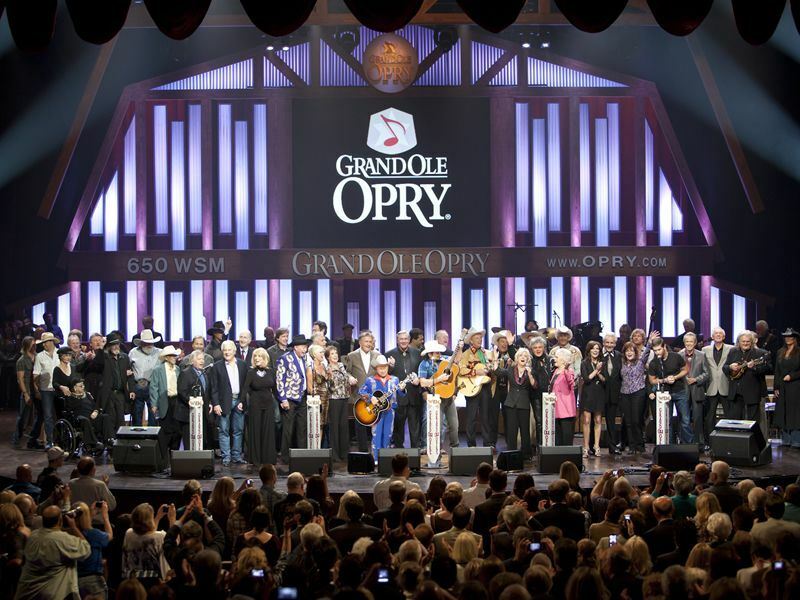 Back then, the show followed a classical music programme, which Hay referred to jokingly as "the grand ole opry". The nickname stuck, and nearly a century later this little show has become the world’s longest-running radio show - and one that claims more listeners than any other show in the world (catch the broadcast live on WSM-AM at 7pm on Saturday nights). Held at the 4,400-capacity Grand Ole Opry House (a venue so significant that its name is marked on all state road signs leading to Nashville), anybody and everybody in the world of country music has performed here; from Patsy Cline, Willie Nelson, and Dolly Parton to Carrie Underwood, the Dixie Chicks, and Elvis Presley. Highlights: Head to the Grand Ole Opry House to catch a live recording of the show on selected nights. There’s also backstage tours where you can take a behind-the-scenes look at the venue and walk in the footsteps of country legends and superstars. Daytime tours are available seven days a week (between February and October) but are typically only available to book two weeks in advance.